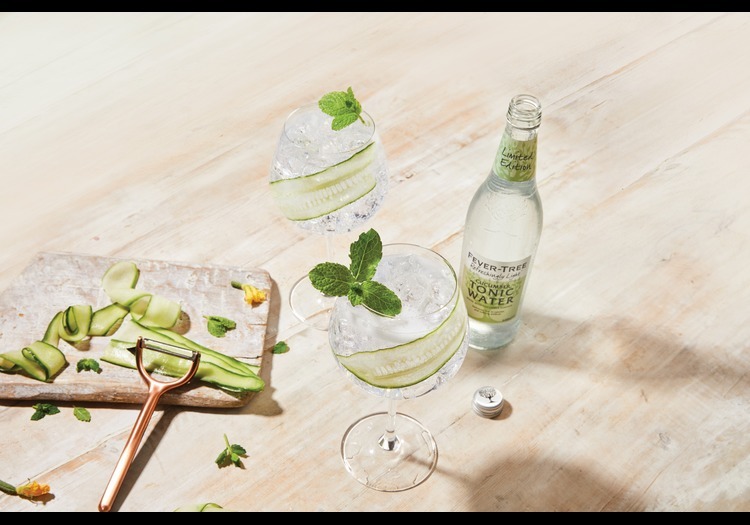 Offering a delicate and fresh flavour, the light, crisp notes of cucumber essence are perfectly balanced with the gentle bitterness of our signature quinine from the fever trees of Eastern Congo. Blended with fruit sugar for 32% fewer calories than Fever-Tree Indian Tonic Water. Our 500ml bottles are great for enjoying a few drinks with friends. The signature aroma of fresh cucumbers on a summery day. The light, crisp notes of cucumber essence is perfectly balanced with the soft bitterness of quinine. A uniquely clean and fresh finish with none of the cloying aftertaste you get from artificial sweeteners. A smooth mouthfeel enhanced by the high-quality carbonation process.